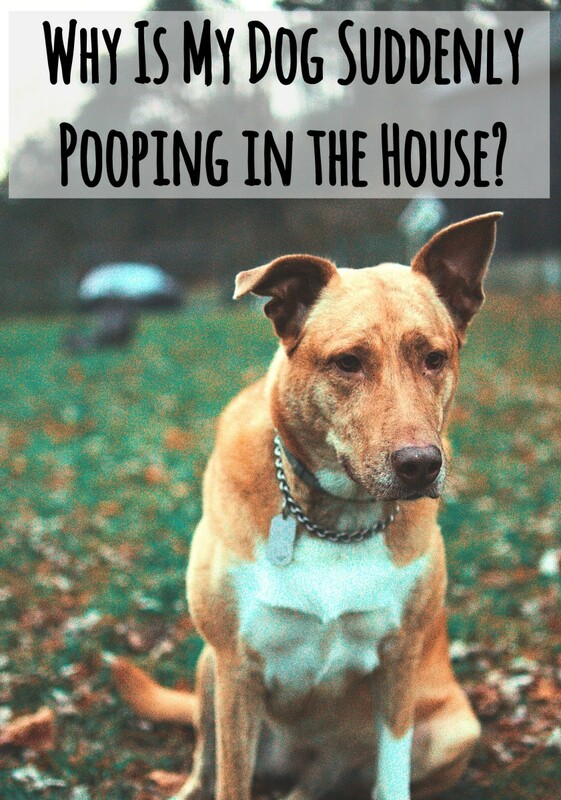 How Can I Tell If My Dog Is Playing or Fighting? 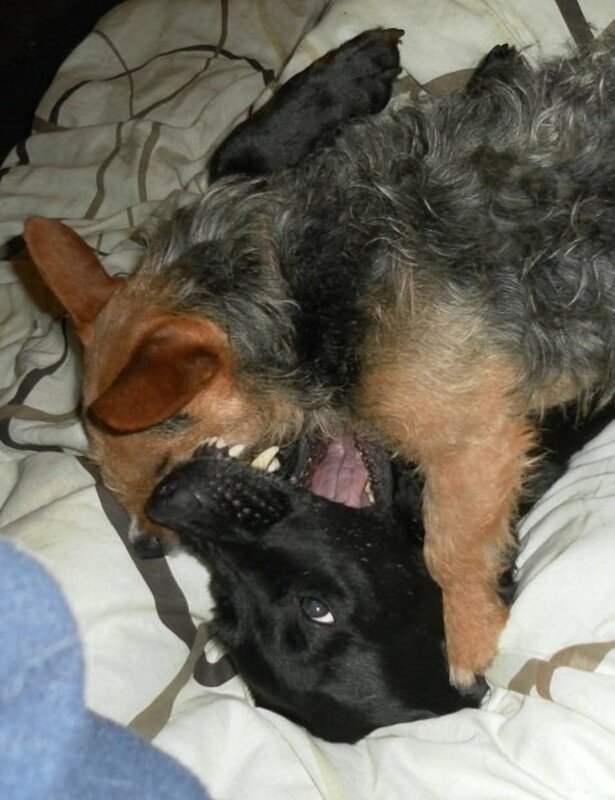 Owners of single dogs or people who don't own dogs are often worried when they see dogs play fighting because there is a lot of noise and a lot of visible teeth. It is helpful to know when your dog is playing nicely and when your dog is being either a bit over the top with another dog or being roughhoused and would rather the game stopped. The play bow is the classic initiating signal for dogs wanting to play. A play bow is where a dog lowers its front legs and raises its bottom in the air. The tail is usually up and may be waving. It is a manoeuvre that says 'everything I do from now on is a game'. 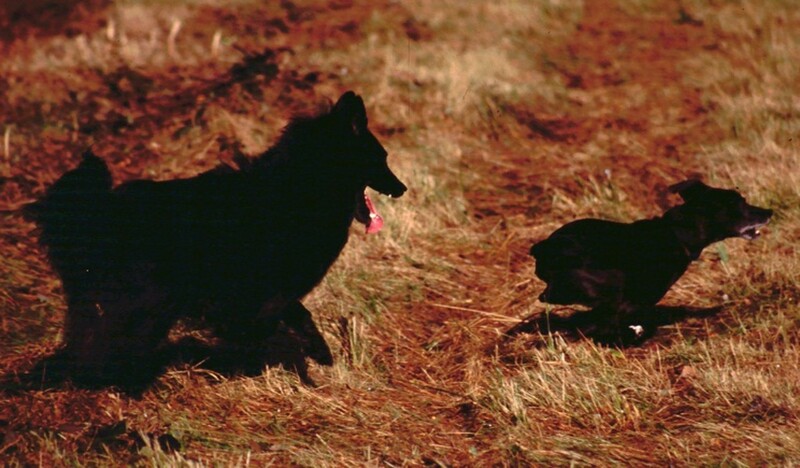 It can mean that a dog who is normally dominant may play at being the submissive one or that all the dogs in the game can show their teeth without the others mistaking it for real aggression. In play there will usually be some role reversal, so whilst one dog may spend more of the time on the floor rolled on its back, the other will sometimes offer itself as the victim. A dog who is skillful at playing who is in the dominant role will give other other one plenty of opportunities to get up if it's been rolled on the floor. 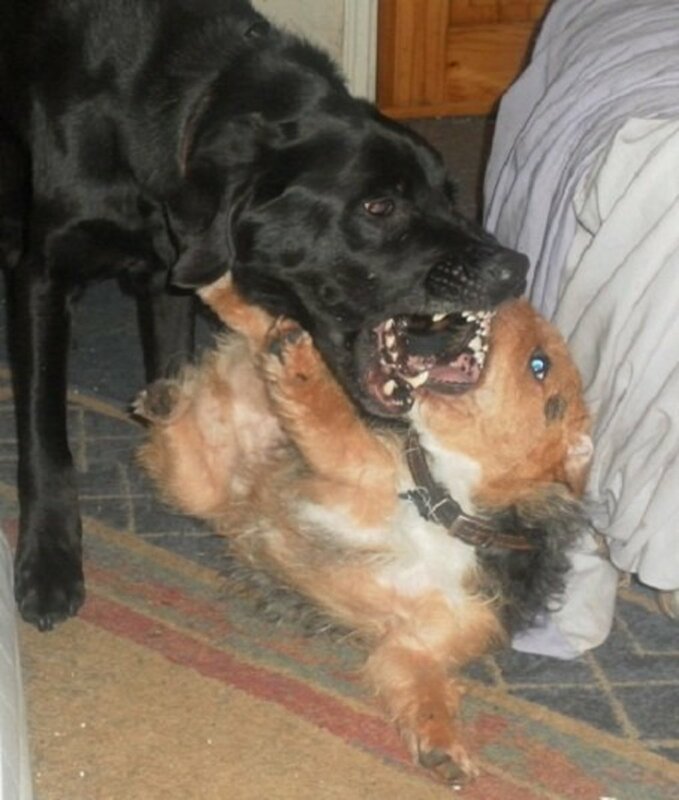 In the video which follows you can see that when Bob the terrier and Bruno Labrador play, their mouths stay open a lot of the time, so although there is a lot of showing of teeth, it is play aggression and there is no biting. The dogs also use their bodies a lot, barging and pushing each other. Bob happily turns his back on Bruno which wouldn't happen if they were fighting or Bob was feeling uncomfortable with the game. There is a low key growly moany sound from Bruno, but this is ongoing and at a steady level, so indicative of a game. It can be hard to monitor what is going on when dogs are playing out doors because the action can move very fast. 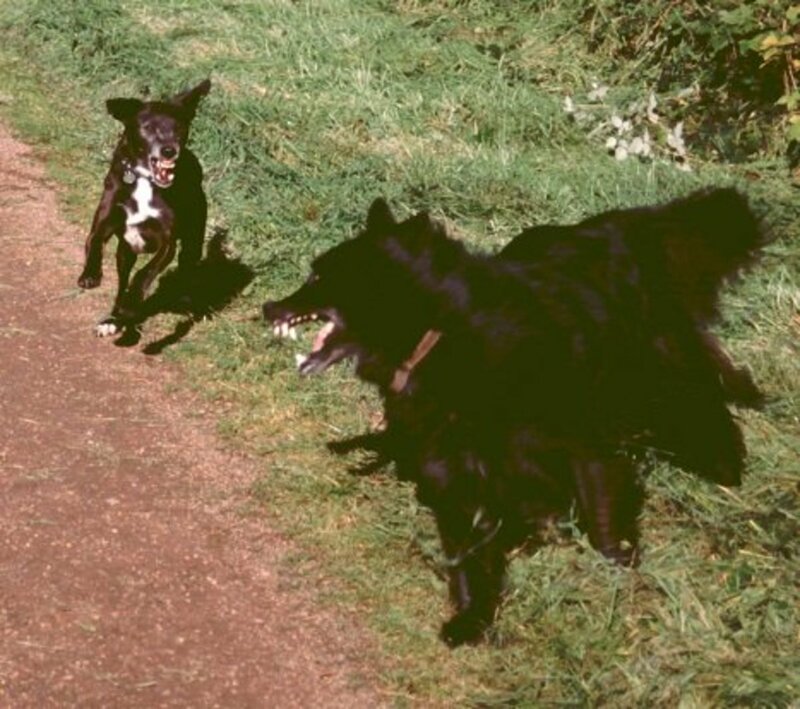 Chase games usually involve dogs alternating between being chased and being the chaser. Some dogs love being chased and may usually take this role. 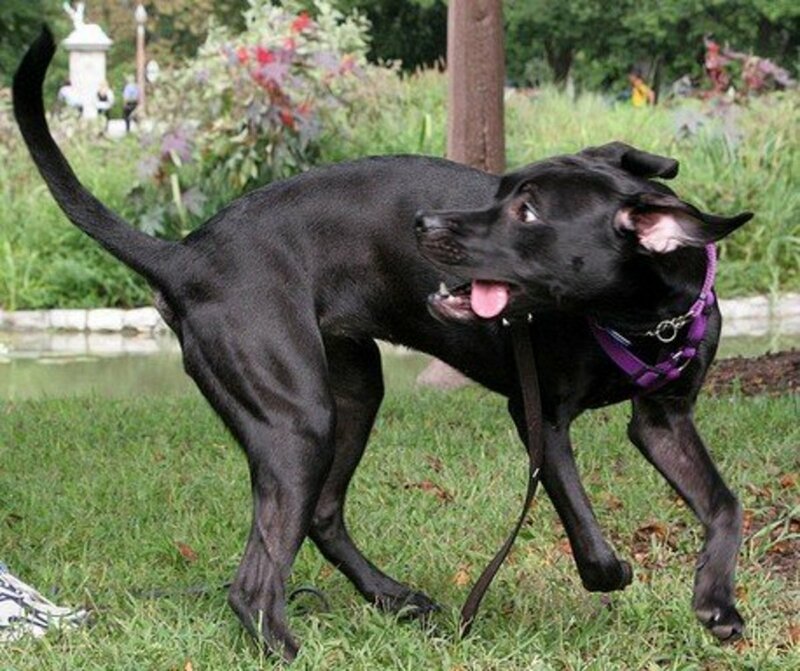 A dog who is happy to be chased will usually have its tail curved down, but held slightly away from its body. If the dog being chased tucks its tail between its legs it has become unhappy with the game and is time for the owners to intervene. 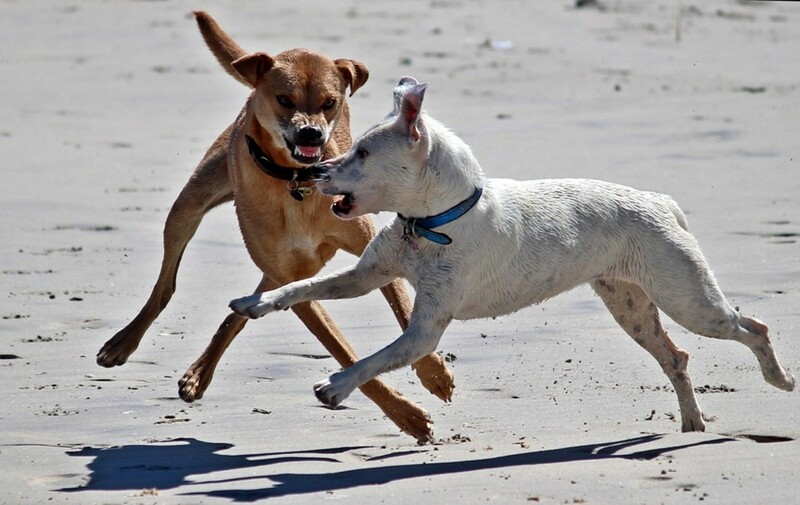 Running games can also involve dogs keeping pace with each other and body barging and sparring with their teeth, but all at speed! In the first picture below, a glance at the show of teeth could alarm you, but the snarls are made with very open mouths and the postures are relaxed with Jake's tail lowered but away from his body. Even though these two are ill matched size wise, they are still able to play well together. In the second picture you can see Roger, enjoying the thrill of being chased, is running full pelt. Jake, able to run much faster, has modified his pace to run behind him. Note Jake's tail, which is lowered, but held away from the body. Note Jake's modified and relaxed pace, compared to Roger running at full pelt. Every so often a game will turn a little intense or one dog will start to feel intimidated and tuck its tail in or be bowled over once too often. Time for the owner to step in and recall or distract the dogs, give them a little break and then allow the game to resume when they have been calm for 5 minutes. Play is really fun for dogs and a dog who is initially rough at playing, can learn to modify its behaviour simply by the owner stepping in to stop the game when it becomes too rough. The reward for appropriate playing is longer play time which is a win win situation for the dogs having fun and the owners being entertained by the antics. The larger or stronger dog allows the other opportunities to get up if rolled on the floor. 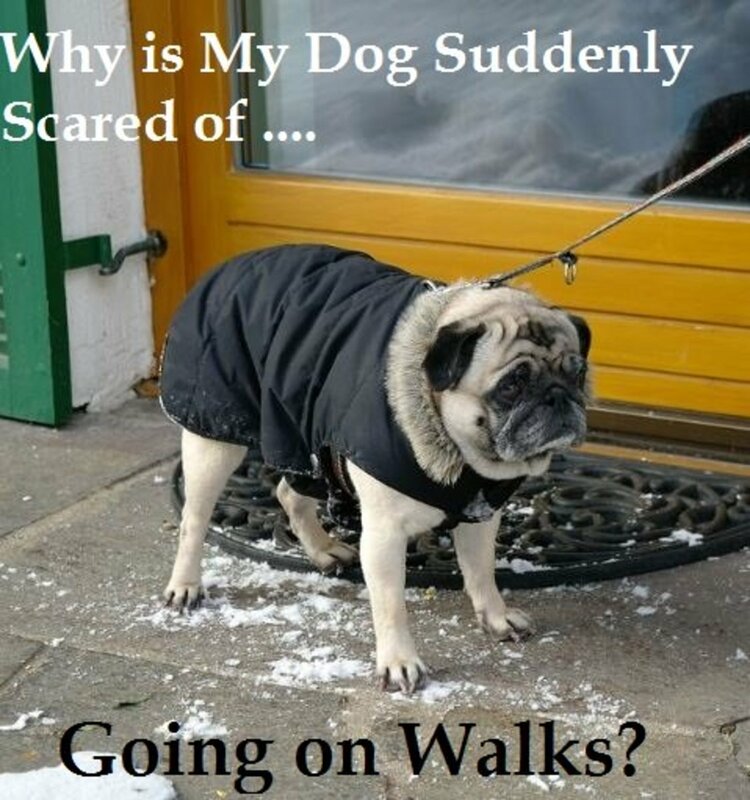 Why Is My Dog Suddenly Scared to Go on Walks? Good read , informative , helpful. Thanks! I've had a yorkie and black lab who were great together,she[yorkie] thought she was the boss though., he was good with her. I don't remember seeing a lot of the behavior you mention, some of it is amusing yet informative. I now have a belgian malinois, who was a rescue, he's great around family, but we have to keep an eye on him with other dogs or sometimes people. I just joined, was happy to see that got on almost immediately. Very useful hub. I like the table at the end the most. I recognize all the signals and learn some new regarding dogs' behaviour. Thank you THEmikeLO, I'm glad you found it interesting. Amazing hub! This was jam packed with useful information that both non pet and pet owners can benefit from! Great work. 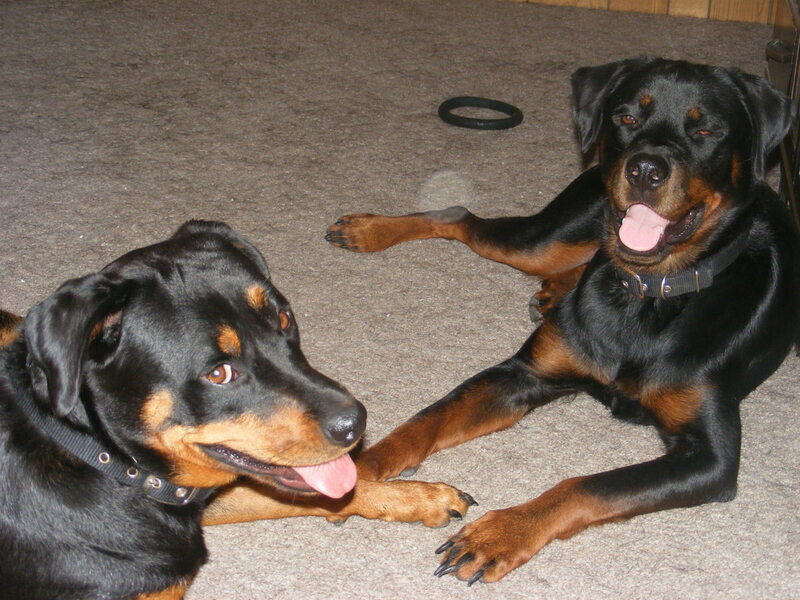 Thank you jantamaya - they make an odd couple, but they have a lot of fun playing together. I liked the video most! They seem to like each other :) very much. Voted up and shared. I bet your JR and Malinois give you endless amusement with their antics - it's interesting that they should be such good friends despite the size difference, very much like my dogs Jake and Roger in the picture. Have you had them both since they were puppies? My Malinois and Jack Russel play all the time and they will for hours on end; they even play hide and seek with each other! What's really interesting is that wolves also play fight in the same matter. Definitely very interesting how other species spend their recreational time. Thank you for bringing some more insights onto it. Voted up and shared! Good information! My 90lb dog and my 16lb dog love to play rough, and it always makes people nervous when they first see it because of the difference in their size. I know they're playing but after reading this I can tell others the differences to look for between playing and fighting! Great information! 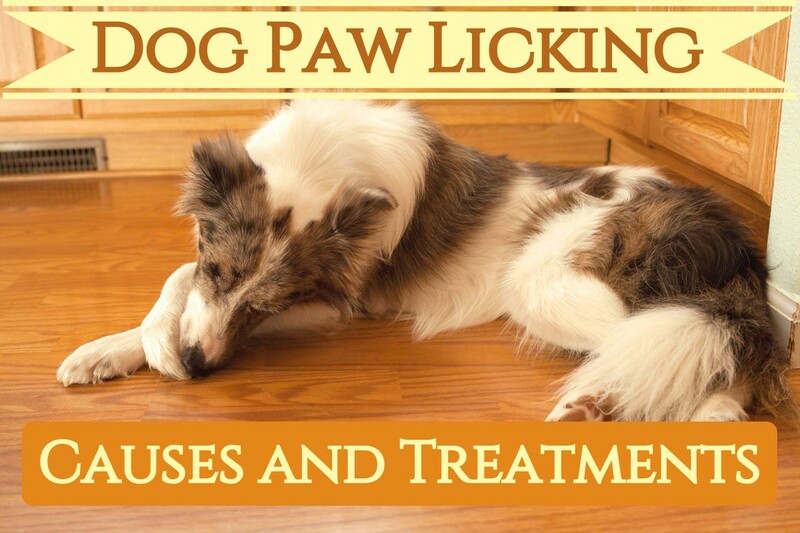 This is a useful hub even for non-pet owners. 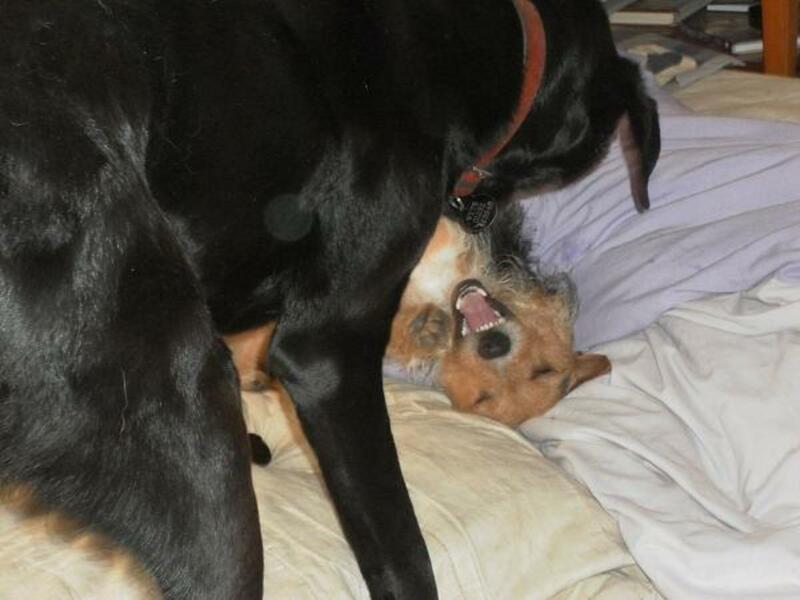 Pet owners can develop a sixth-sense for when their dogs are fighting or playing. For the rest of us park-goers, dog play can seem intimidating or worrisome. This is a great guide to judge whether growling toothy dogs are playing, or whether it's time to move to a new park bench. Voted up and interesting. Thanks for sharing. I think this information is very helpful so it will help alleviate one's fears. Understanding animal behavior is one such key. You've included some very specific ways to identify behaviors; the chart you posted is very interesting! 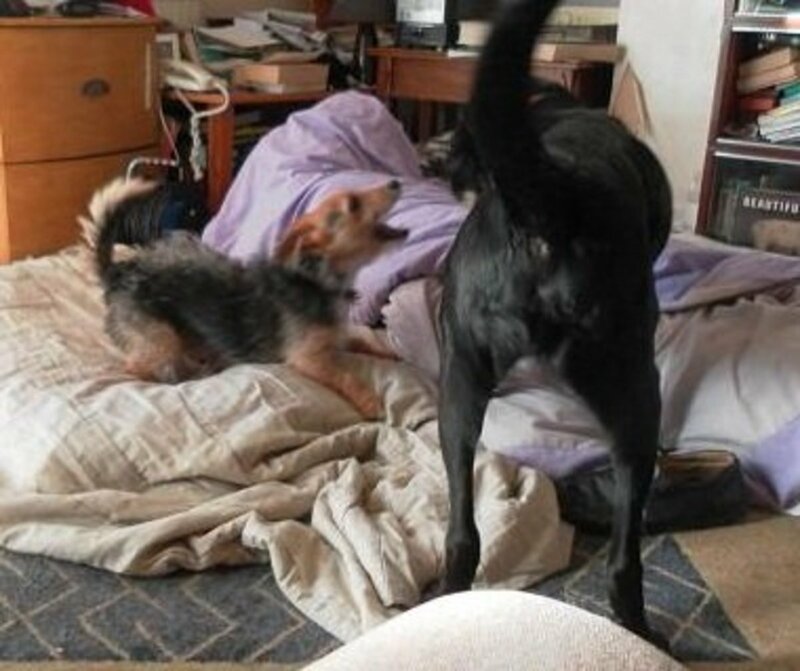 I have often wondered whether a dog (one unfamiliar to me) was getting out of control, and I remember that those owners who were knowledgeable could tell me whether they were playing or not. Congratulations on being nominated for a HubNugget award, and welcome to this site! Excellent hub! You did a good job on this difficult subject! Voted up! Interesting point Ciel. I've known some dogs who get quite distressed when humans start playing in a rough sort of way, but others who join in. It's certainly possible to encourage most dogs to play with you by mimicking their play bow -as the great video (not mine) of a man playing with his great dane shows http://www.youtube.com/watch?v=NAs9bFRS-bw. My own dogs understand a very diluted playbow from me - a mere raising of the eyebrows and slight head duck. I wonder if dogs know when we are playing or fighting! We have one pretty calm dog who does start leaping around and barking if people in the house are wrestling. Good information, and nice hub. Thank you - I only realised not everyone could tell the difference because people would ask me if my dogs were playing or fighting - so I had a think about how I knew. With humans, I really can't always tell what's playing and what's fighting! Great hub. Thanks for sharing. It pays to know your dogs and what they are doing. Voted up! Good information. A lot of people can't tell the difference between fighting and playing but if you know your own dog you can tell, it's the other dogs you have to learn to read. Voted up. That's a fantastic hub! I never actually realized this was an issue because I've always had sixth sense for these kinds of things. We have two security dogs (German Shepherd & Dobermann), who both play fight with a tiny Shiba Inu. It's really hilarious, when there is a bone around, she will fight both of them off, but any other time the big ones are either lying on their backs play fighting or just bowling each other over!